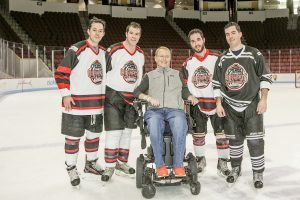 BOSTON, MA – The Travis Roy Foundation recently awarded over $100,000 in adaptive equipment grants to forty spinal cord injury survivors. 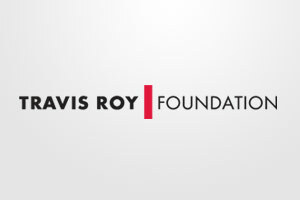 The Travis Roy Foundation was established in 1997 to improve the daily lives of spinal cord injury survivors and to fund spinal cord research. Inspired by Travis’ own story, the Foundation has helped over 700 individuals and their families. To date, the Foundation has awarded over $2.6M for adaptive equipment grants. The Foundation awards grants to spinal cord injury survivors on a quarterly basis. “To provide adaptive equipment grants to over 40 individuals in one quarter is amazing. The Travis Roy Foundation has come a long way thanks to the continued support of so many generous people. It’s a great feeling to know we have removed one more obstacle for these 40 individuals and made their lives a little bit easier,” said Travis Roy. This quarter’s grants ranged from $419 for a light weight Spin Life wheelchair to $5,000 for home modifications. Individuals were also awarded grants for computers, beds/mattresses, shower chairs, and ceiling lifts. Grant recipients included men and women of all ages, residing throughout the United States. Jean – Massachusetts. Jean was awarded $5000 from the Travis Roy Foundation to build a ramp into his home and for bathroom modifications. Jean was crushed by a commercial freezer and wasn’t found for 72 hours. He is a minor and has no family. A foster family was willing to take him in, but they couldn’t afford the home modifications. Virginia – New Hampshire. Virginia was awarded $2300 from the Travis Roy Foundation. This grant will go towards a bed and mattress. Her new adaptive equipment will help her sleep more comfortably during the night and help prevent pressure sores. She was paralyzed as a result of spinal fusion surgery. Sarah-Tennessee. 11 year old Sarah was awarded a $3200 grants towards a roll-in shower that she can access by herself and a sink adapted to her wheelchair height. Sarah became a spinal cord injury survivor after a car accident. Hugo-North Carolina. Hugo is 17 years old and became paralyzed after a wrestling event. He received a $580 grant towards the purchase of a computer and special wrist brace. He can Skype his high school college prepatory class to complete his daily assignments and communicate with his classmates. Willie – Georgia. Willie was awarded $3000 from the Travis Roy Foundation. This grant will help Willie purchase a vehicle lift so that he can enter his van and subsequently travel to family and friends. Willie became a spinal cord injury survivor after a car accident. Robert – Alabama. Robert was awarded a $3000 grant towards bathroom modifications. Robert will use his grant to expand his shower so that he can enter and leave his shower on his wheelchair. Robert became paralyzed after an ATV rollover.